Raiders quarterback Connor Cook was 4-of-14 for 41 yards and an interception in the first half of Saturday’s game against the Texans, which led many people to wonder if the Raiders would make a change and insert Matt McGloin in an effort to save their season. Maybe so, but Connor Cook looked awful. Yes there were a lot of drops but Cook is not good. The Dolphins got two declining players and move down in the draft in a Day 1 head-scratcher. The Jets, meanwhile, have a great fit with Matt Forte. Opening day of the NFL’s free-agent market is drawing to a close. While we have a moment, let’s consider some winners and losers. The Minnesota Vikings signed a highly regarded, still-young offensive lineman to fill arguably their biggest need without setting a financial precedent. GuardAlex Boone, 28, will sign a contract that averages $6.6 million annually — a bit more than half what the Oakland Raiders committed to Kelechi Osemele a day earlier. At the moment, Boone ranks sixth among NFL guards in annual pay, and his $10 million in guarantees ranks No. 10. After Osemele, Boone was the Vikings’ best option for shoring up an offensive line that left quarterback Teddy Bridgewater pressured on an NFL-high 37 percent of his dropbacks. The Miami Dolphins took on two descending players and dropped out of the draft’s top 10 in a trade that will take some time to understand — if indeed the reasoning ever becomes clear. Playing with the Philadelphia Eagles last season,Byron Maxwell proved that he doesn’t like to tackle and that he is nowhere close to a shutdown corner. Linebacker Kiko Alonso, meanwhile, did nothing to dissuade the notion that he is an injury risk. He has now missed 21 games in the past two seasons. How did this trade do anything but leave the Dolphins with two discards and diminished draft position? 2015 NFL Playoffs (Wildcard) are finally here! Today begins the NFL Playoffs. Even though this is the Wildcard Weekend, I still can’t wait to see how the games shake out. After all, this website is devoted to NFL football, so I only have a few precious weeks left to enjoy games. 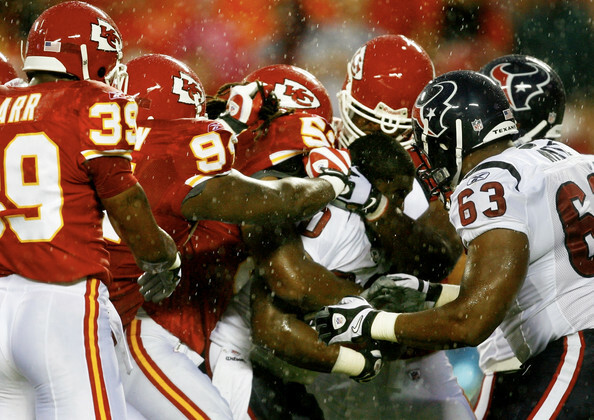 First up is the Chiefs-Texans game. How did Houston get into the Playoffs? I remember watching HBO’s “Hard KNocks” this summer and thinking, “no way can this team get into the playoffs. Sure they have JJ Watt and Arian Foster, but it was only a matter of time before Foster got hurt (Alfred Blue is no Arian Foster). Watt can’t carry the team by himself. They surprised me though and made it in. Now they have to go against the hottest team in the NFL, the Kansas City Chiefs, with Jeremy Maclin and Alex Smith. Good luck there! The Steelers vs Bengals game is the one I am most excited to watch. No Andy Dalton? 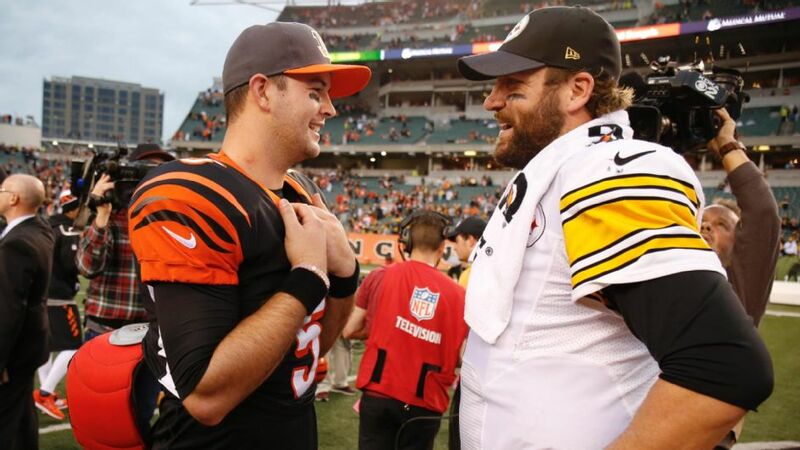 Maybe AJ McCarron looks to get Cincy off the schneid. Hopefully the cameras will pan to AJ’s smoking hot wife. Sorry, lost my train of thought. Can the Bengals beat the Steelers? Judging by Big Ben’s comments this week about Martavis Bryant, I doubt it. With the recent PSA from a local Cincinnati radio station claiming that “This is a severe Big Ben Roethlisberger update from 700WLW. The tri-state is currently under a severe Big Ben warning from now through early Sunday morning”, I would think that the Bengals need to be more worried than the local women of the area. Big Ben will be throwing to Antonio Brown, Martavis Bryant and Marcus Wheaton, especially with DeAngelo Williams out. Even though McCarron has AJ Green and Tyler Eifert, he has never played in the NFL Playoffs. The Bengals have also lost 7 straight Post-Season games. Edge to the Steelers, in my opinion. 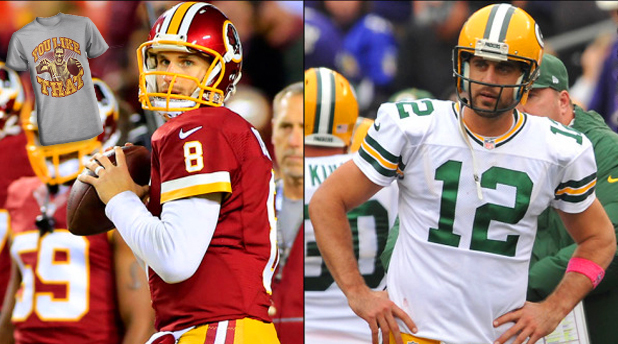 Last but not least, the Packers play the Redskins…in Washington! Who would have thought that Washington, would be hosting Aaron Rodgers and the Pack? Remember RG3? Neither do we. Kirk Cousins is the man in DC now. You like that?! You like that?! DeSean Jackson and Kirk Cousins lead the way for the Skins against a struggling Green Bay team. The reason I say struggling is due to their injury situation. Most teams are banged up right now but the Packers have been hit pretty hard, especially on the O-Line. Aaron Rodgers will try to carry the offense but with Kirk Cousins and the West Coast offense he is running this could be a shootout. Does Rodgers still have enough bullets to pull it out even with 18 players on their injured list? Normally I might say yes but Cousins and the Skins are tearing it up right now. I see the Redskins and DeSean Jackson’s “Chip” on his shoulder winning this one at home. See what I did their with the Chip Kelly reference. 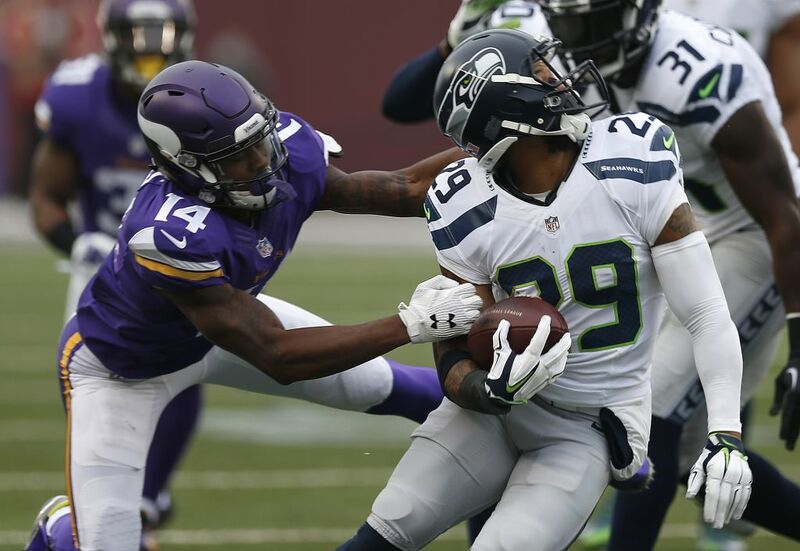 Tyler Lockett’s a versatile threat, but he gets lost in a loaded receiver class. Meanwhile, Bud Dupree’s allure is more about potential than production. Daniel Jeremiah redistributes pre-draft hype.